San Francisco, CA — At a time when families are struggling to remain in the city amid record income inequality, the San Francisco Public Defender’s MAGIC programs will distribute backpacks stuffed with school supplies to a combined 5,000 kindergartners through 12th graders during two August events in the Western Addition and Bayview. 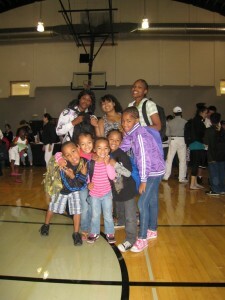 Western Addition Health Fair and Backpack Giveaway. Ella Hill Hutch Community Center – 1050 McAllister St. In addition to the backpack and school supplies giveaway, this event will also feature free health screenings and information, coordinated by AfroSolo. All attendees participate in at least five stations of the Health Fair before the children can choose a backpack. Youngblood Coleman Park, 1398 Hudson Ave.
Children and parents must attend together to receive a free backpack and school supplies. School uniforms, provided by the Buddhist Tzu Chi Foundation, will also be provided. The two back-to-school events are among the largest and most comprehensive of their kind in the Bay Area, said San Francisco Public Defender Jeff Adachi. The annual events are held by MAGIC (Mobilization for Adolescent Growth in our Communities,) an organization initiated by the Public Defender’s Office in 2004. MAGIC reduces the number of youth who enter the juvenile justice system or fall through social service gaps by efficiently coordinating opportunities, support and resources. While Mo’ MAGIC centers its efforts in the Fillmore/Western Addition neighborhoods, its sister organization, BMAGIC, focuses on Bayview-Hunters Point. Nearly 100 community-based organizations working in the areas of health, environment, juvenile and social justice, faith-based and after-school programming will be represented at the events, along with elected officials, city agencies, local merchants, funders, grass roots activist, and organizers. Healthy food, sports, games and live entertainment will be provided. The events are also a chance for neighborhood families to connect with one another, said BMAGIC Executive Director Lyslynn Lacoste. “The back-to-school celebration and backpack giveaway strengthens our communities while making sure every student has a quality backpack and supplies for the first day of school,” Lacoste said. Mo’ MAGIC event’s main sponsors include and Convent & Stuart Hall, Facebook, Korean Full Gospel Church, Uber, Mayor’s Office of Neighborhood Services, Sydney Paige, Bay to Breakers and SFPD. BMAGIC event sponsors include the San Francisco 49ers Foundation, Comcast, Golden State Warriors, Union Bank, San Francisco Federal Credit Union, Bayview Hunters Point YMCA, Sutter Health/California Pacific Medical Center, Recology, Rainbow Grocery Cooperative,San Francisco Wholesale Produce Market, Bayview HEAL Zone, San Francisco Recreation and Parks, Don’s Auto Body, O’Reilly Auto Parts, San Francisco Honda, and Transportation Workers Union of America Local 250-A.